Behind the scenes, powering the Nuarro Lodge lighting shown above, is a newly upgraded Victron Energy hybrid-30kVA, 3-phase system with 38kWp of solar power. The Lodge though is but one part of the Nuarro project that Victron Energy and their partner companies are involved with. Nuarro Lodge, its associated chalets, activities and community based projects all form part of this award winning complex. 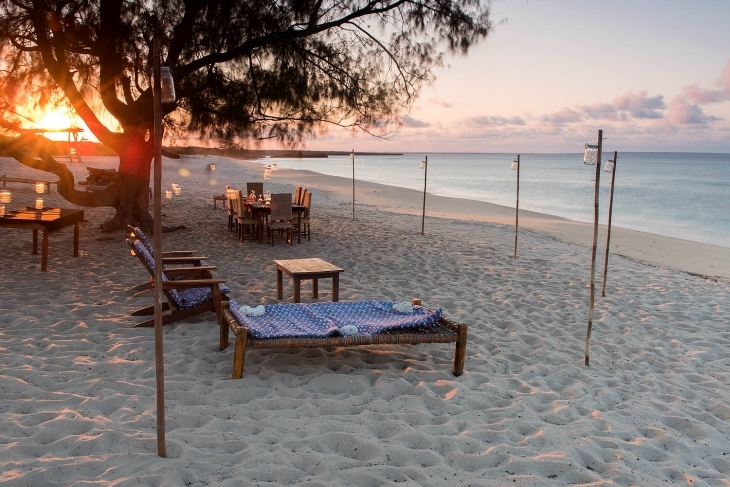 Situated beneath the aqua blue skies of northern Mozambique, Nuarro is adjacent to unspoilt sands and the warm crystal clear coral reef waters of the Indian Ocean. Nuarro is built from natural materials (by the local community) in an 800 hectare (8 sq km) environmentally sensitive concession area of the Baixo da Pinda peninsula. In the words of the company – working in and being considerate of such an area is all about friendly people, top-class activities and fantastic food, whilst showcasing a spectacular, pristine environment in the most responsible way possible. 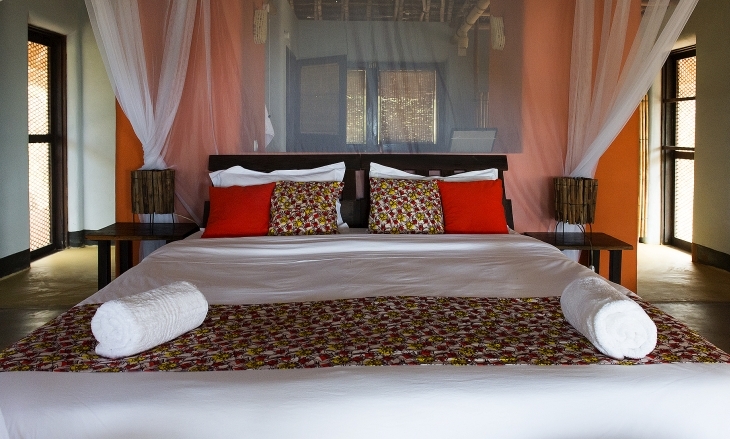 Even though it is off-grid and remote, Nuarro generates its own electricity and clean water using renewable energy which helps bring sustainable tourism to the area without compromising the basic needs and comforts of guests. This ensures the local people and community benefit also, by bringing work to the surrounding area. 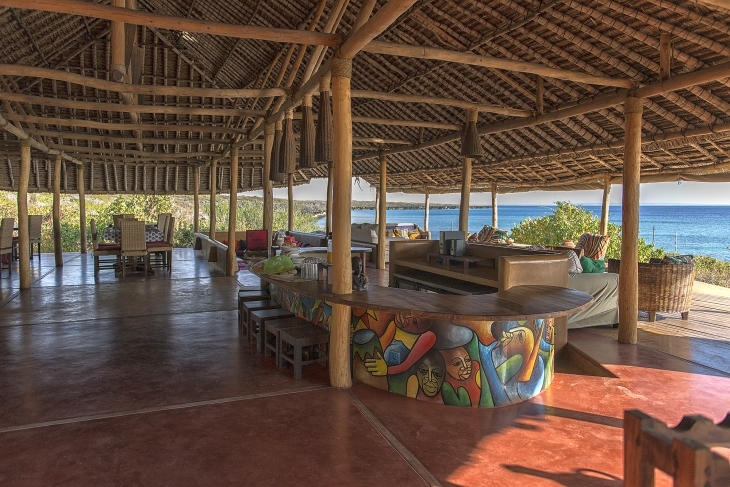 Engaging with the local community in this way ensures they benefit from the growth of responsible tourism at Nuarro. 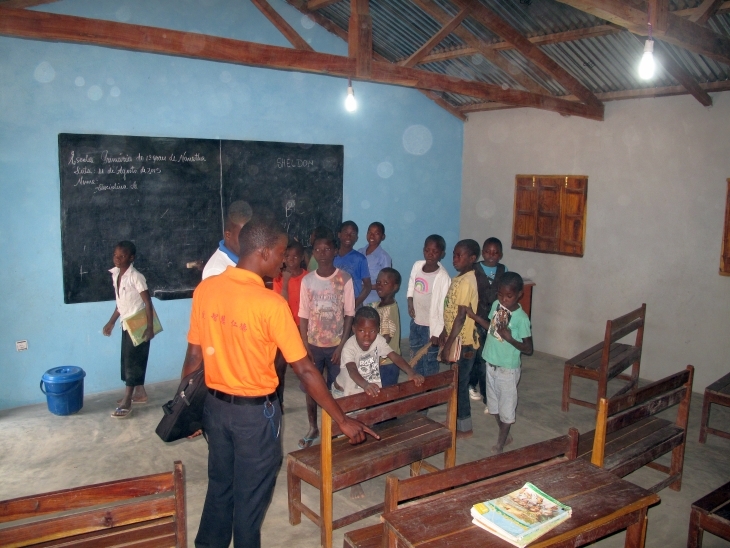 This is achieved directly through donations and indirectly through the creation of jobs for the local population. From each overnight stay, $5 is donated to the local community and $2 from each activity. Several projects have been funded from these donations including the building of a community centre and medical post – plus various projects in the field of medical care, hygiene and agriculture are also being developed. Apart from donations, Nuarro has a significant impact on the development of the local economy as it employs a total of 80 local people. Added to that are approximately 1,000 family members who are dependant on the income from these jobs. Building of the lodge started in 2007 and the owners of the lodge have over the years upgraded the renewable energy and water system to fit the needs of the guests, community and employees. The best choice for this being a hybrid-system for the reliable generation of electricity with the lowest carbon footprint, with hot water being supplied by solar geysers directly to the buildings. During the recent upgrades Nuarro’s owners decided to install a new inverter and solar charge system. 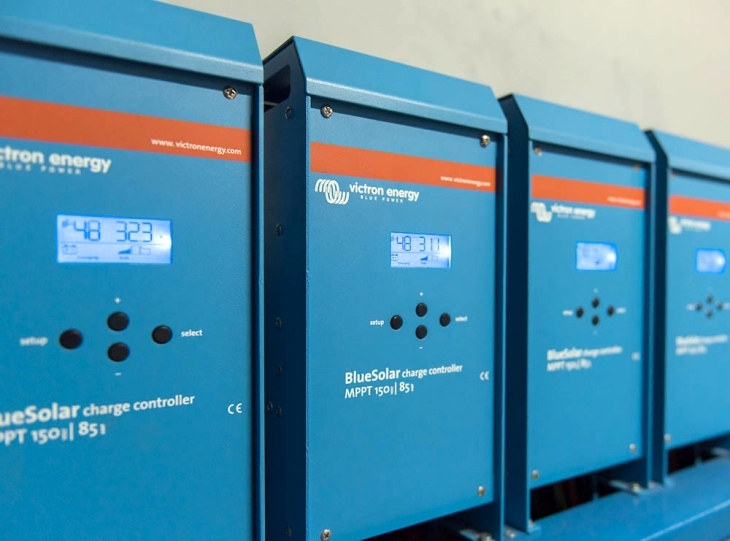 Reliability and remote monitoring have been missing for years and the decision was therefore made to invest in Victron Energy products for their known reliability in off-grid applications in harsh and remote environments. The off-grid system consists of a three phase 30 kVA system with 38kWp solar power, 2,400 Ah battery bank with a 40kVA back-up generator. Three Victron 10kVA Quattros in a 3-phase configuration and nine DC-coupled 150/85 MPPT Victron Energy solar charge controllers are all installed in/on one cabinet, including two battery monitors and a Color Control GX. The 38 kWp solar power is generating an average energy of 180 kWh per day, which is partly used by the lodge during the day and also stored in the battery bank for night use. During overcast days and high night loads the generator automatically starts based on the SOC (State of Charge) setting in the BMV battery monitors. The Color Control GX is connected via long range Wi-Fi to the Wi-Fi satellite router which connects to the internet for remote monitoring and management. 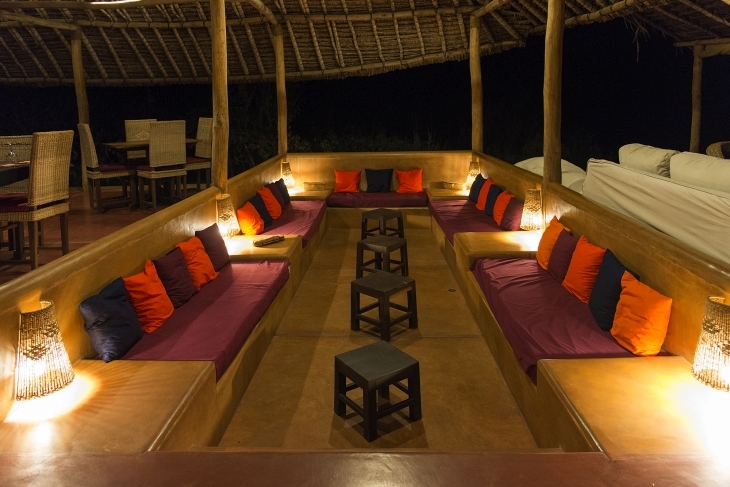 The entire lodge can run from solar including the borehole pump, water treatment plant, the diving compressor, the cold and freezer rooms, fridges and other restaurant and bar equipment. During the night the load is minimised by using timers switching off non-essentials to minimise the use of energy from the battery bank during the night. As mentioned previously community engagement and benefit is a key part of sustainable and responsible tourism. 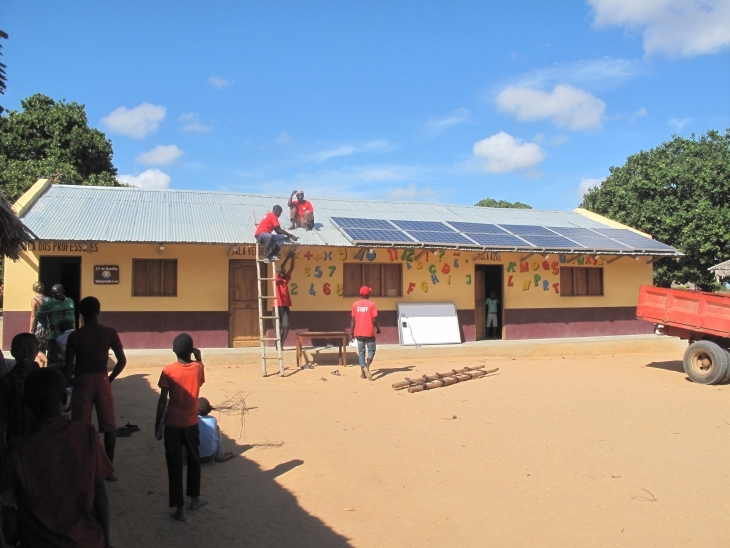 Based on this Anan Clinica, a Dutch Foundation, donated a small solar system to the school and clinic with the help of Victron Energy and involved suppliers. This allows the community to have access to electricity on a small scale for enhancing education and health care in the community as part of the community based and sustainability drive of the project. This part of the project was managed by Sheldon Brown of Tytech with the assistance of Power Electric and Battery Power Hub from Durban and Empangeni in South Africa. 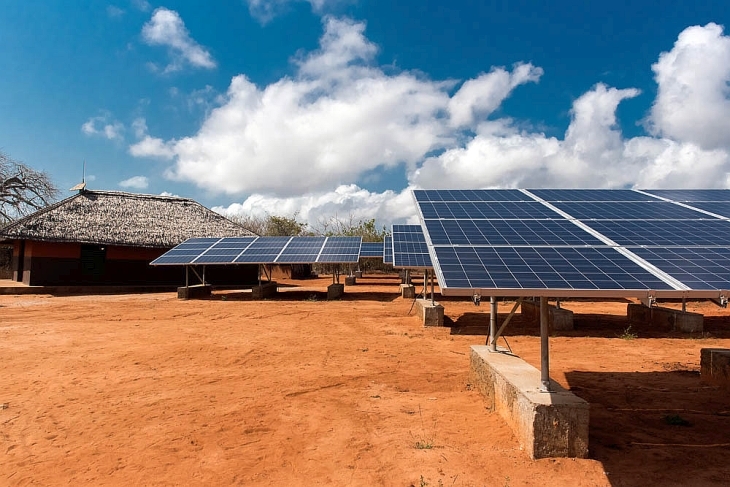 For the installation and commissioning on-site, Tytech used its subsidiary Technical Solar from Imhabane in Mozambique. 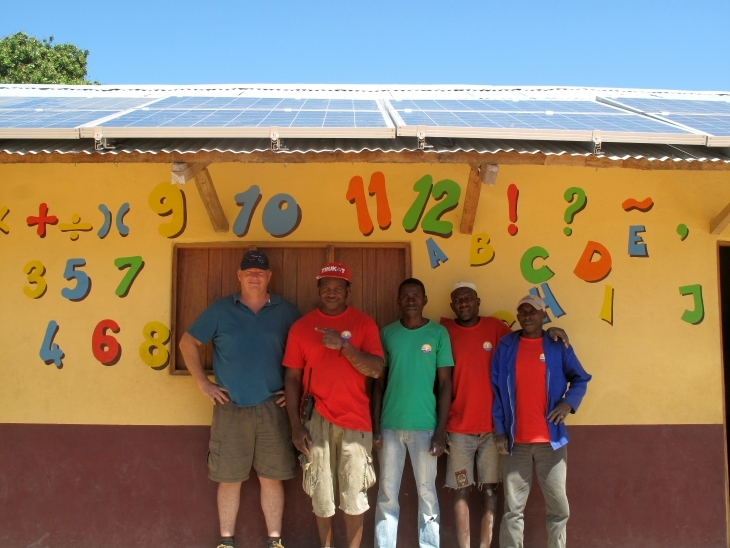 Having been involved with a community based renewable energy project myself here in the UK – it’s great to see such like minded thinking which benefits a local community in Africa whilst still running the core business sustainably at profit. Personally I think we need more of these responsible businesses like Nuarro. To learn more about them why not check out the links below. In writing this blog I found myself singing Mozambique which is a song written by Bob Dylan and Jacques Levy that was originally released on Dylan’s 1976 album Desire. I think it captures some of the essence of Nuarro Lodge. Here’s the last verse. Thank to Peter de Wit of Victron Energy for making me aware of this project. Thanks to Nuarro and Victron Energy for the images used. Energy analysing, engineering, installation and commissioning of Victron Energy equipment and solar arrays. 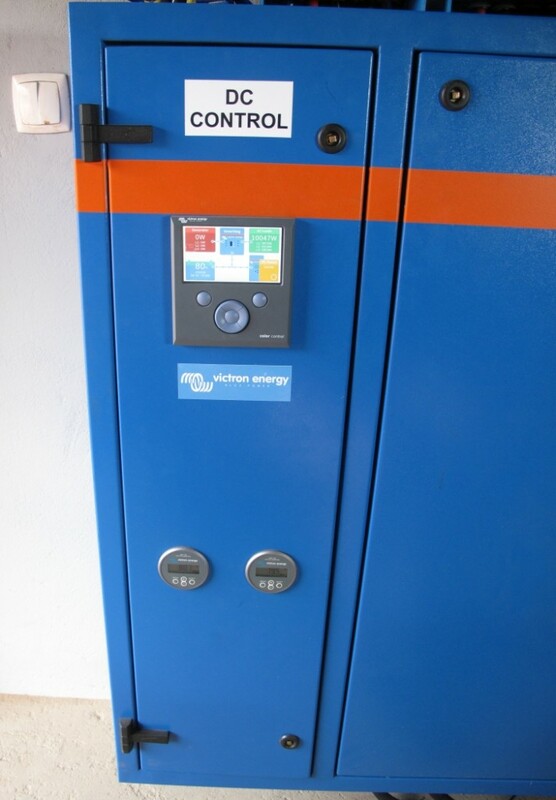 Supplied and installed ‘blue Victron Energy cabinet’ with 6000A bus bar and incorporated Victron Energy equipment into cabinet. Supplied and installed Wi-Fi system at the lodge for CCGX. Victron Energy distributor in Mozambique. Linked to SA mother company Tytech. Removed old installation (2 x MLT-inverters and 7 x Outback solar chargers) in a two-days change-over of electricity supply to the lodge with hardly any interruptions to the energy supply to the lodge. Installed new solar arrays and did upgrade of solar cabling and connection boxes. Manufacturer of cabinet and support to Technical Solar for installation and commissioning on site. Victron Energy distributor in SA (KwaZulu Natal province area). Supplier of 42 x 230Wp solar panels for latest upgrade and some Victron Energy products. Assisted with technical engineering. 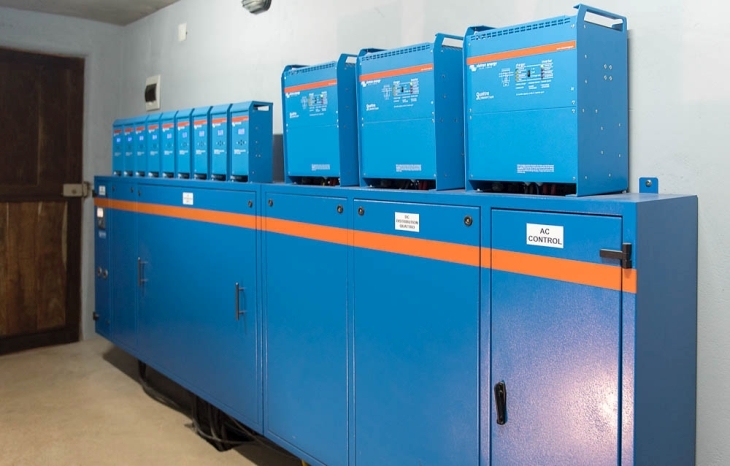 Inverters: 30 kVA; 3 x 10 kVA Victron Energy Quattros in three phase configuration. Replacing 2 x 18kW 3 phase MLT-inverters. Back-up generator: 40 kVA 3-phase diesel generator John Deer. Monitoring: Victron Energy 1 x Color Control GX and2 x BMV-702 battery monitors. 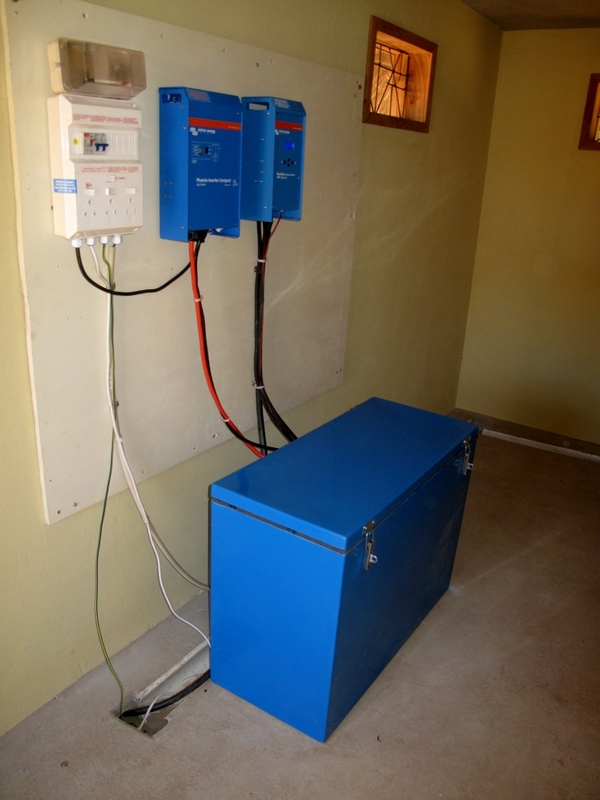 Inverter: 1200VA: Victron Energy 24/1200 Phoenix compact.